“It is all this that makes The Grand Hotel a great one. And more than all this, the fact that it is embedded in the memories of six generations. That it shared the momentous events of modern India. That it bore witness to two world wars; the heyday and passing of an empire; famine, flood, fire and riot; a bloodied Independence and a comparitively bloodless revolution. That it has watched both triumph and disaster and, taking the poet’s advice, treated “these two imposters just the same”. – Bachi J Karkaria, To a Grand Design. Like many refugees who came to Calcutta from Bangladesh in the 1940’s, my paternal grandfather had a tough life. On a very meagre salary as a government official, he had to support a family of more than 20. This included his brothers, sisters, their families, cousins and even friends who crossed the border looking for food and shelter. It was a life far far removed from any luxury hence one day, when my grandfather, courtesy his job stepped into The Grand Hotel, it was nothing short of paradise for him. The white marble, the sparkling crystal chandelier in the lobby, the grand piano, the well-dressed ‘shahebs’ and ‘mem-shahebs’, it was a new world. And I remember how many years later when we were crossing The Oberoi Grand one day, his eyes were gleaming when he recounted that experience to me. 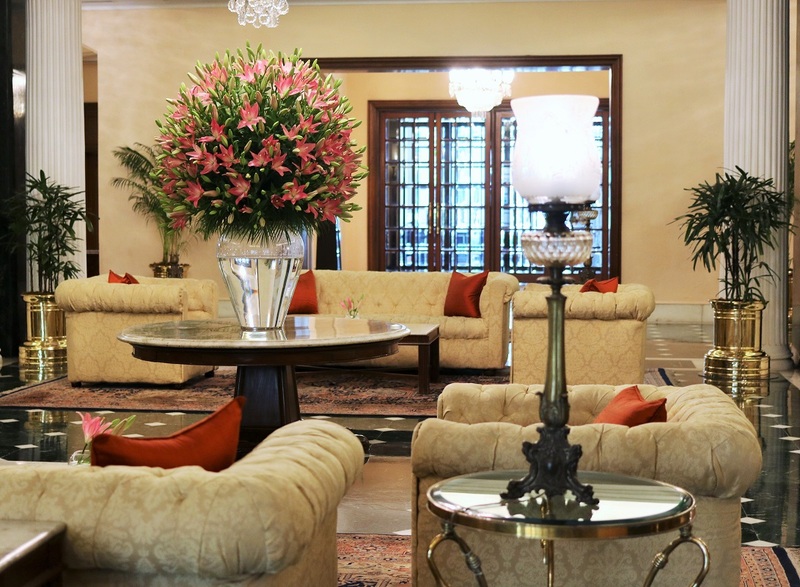 The charm of the Grande Dame of Chowringhee has always been magical.